It's that time of the year again. 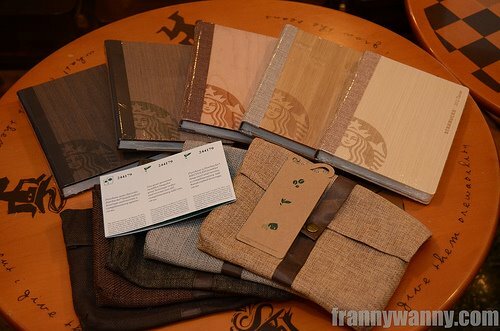 The coffeeholics who are also into planners are going gaga because the quest to collect stickers are back again. Notice something different? Yep ... I have two cards, one for Starbucks, and the other for Seattles Best. Why o why do you say? I've always been partial to Starbucks? Well because of this. The Starbucks planner were a bit of a disappointment because it was so small. It wasn't the standard size ... yes, it was cute and the designs are nice but it was small. What will a busy person like me do with a planner that small? Sigh. Still, I will be getting one simply because I have always gotten one every year since it started. Hopefully, Belle du Jour has a nicer planner than both. I actually liked that the 2012 SB Planner is smaller. 2011 Planner is a bit heavy, eh I'm too dependent on my planner.hahaha. nice! !i am a new fashion blogger from indonesia living in singapore :) i really like your blog. i will really reaaally appreciate & it will be an honor to have u as my blog member. @ winda: thanks for dropping by! @ sumi: yes it is!